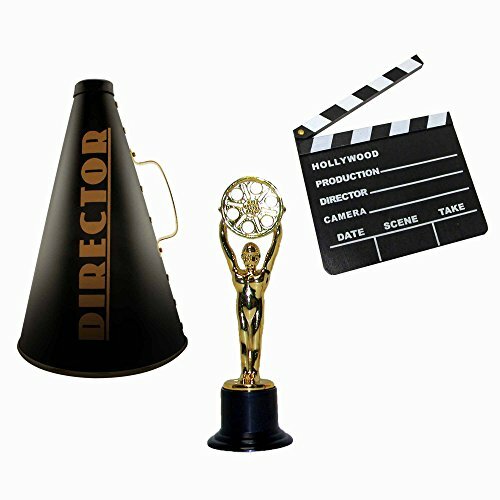 Play up your Old Hollywood, Movie Night or Hollywood Prom, Homecoming or award banquet theme with this dazzling Hollywood Star Centerpiece Kit. 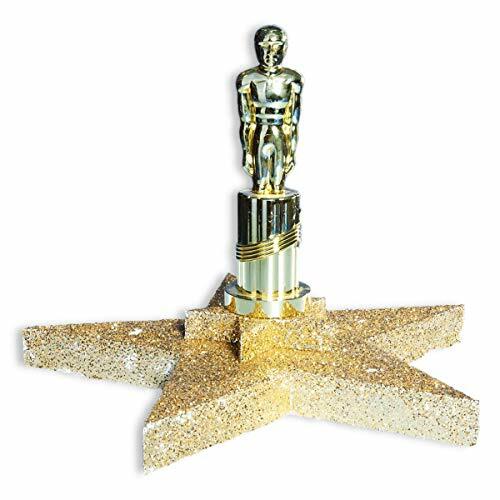 The 12" high x 16" wide centerpiece features a gold glitter Styrofoam star base and a 9 1/2" high gold plastic award statue topper. Use the star-studded centerpiece kit to decorate dining tables, registration tables and buffet tables. Assembly required. Assembly time: 1 hours, 1 person. 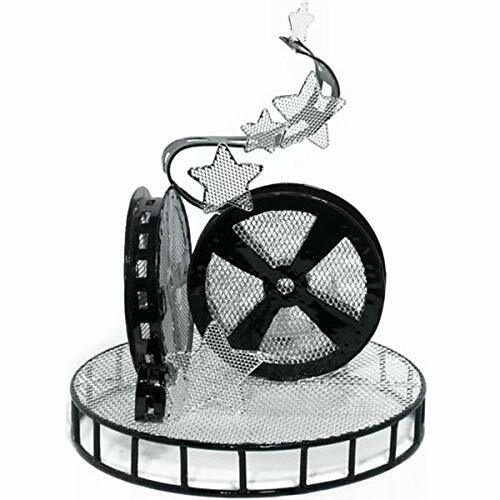 Add an authentic touch to your Hollywood Prom or Homecoming dance theme, movie night, or Hollywood-inspired event with this set of 2 Wire and Metal Movie Reel Centerpieces. Each 11" high centerpiece is made of sturdy black metal and wire and comes with a battery-operated tea light candle for extra ambience. The centerpieces are stylish enough to be displayed as they are, but you can also decorate them with tinsel, fabric, paint, and more to create the exact look you want. 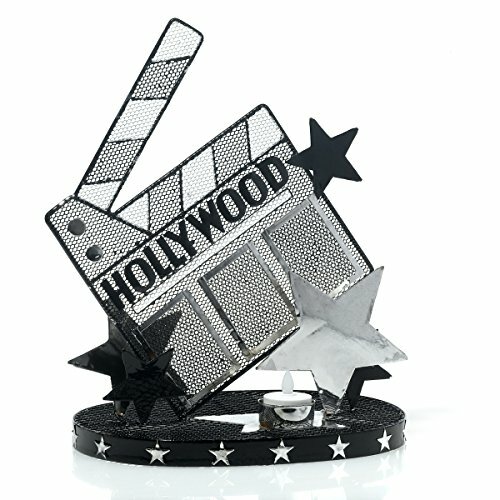 With proper storage, these centerpieces can be used over and over again for all your Hollywood themed events. 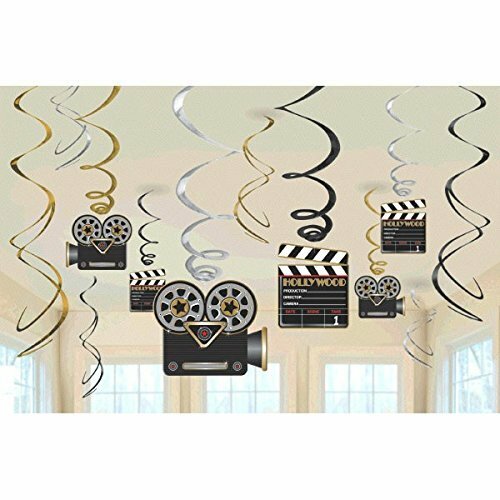 Set the scene and carry your Hollywood Prom Theme decorations to your dining tables with Hollywood Clapboard Centerpieces. 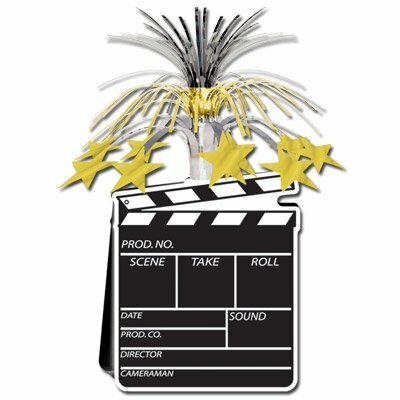 The set of two black and silver wire Clapboard Centerpieces each measures 12.6 inches high and features metallic black and silver stars. Set includes two battery-operated tea lights. Make your party look like Pangea with this Dinosaur & Volcano Centerpiece Decoration on display. This 6 piece set includes 1 honeycomb volcano centerpiece and 5 free-standing dinosaur decorations for you to set out at your dinosaur birthday party. Just unfold the volcano, attach the lava top, and place a few dinosaurs on each side to make a truly dynamic dinosaur scene for your party table. Shop our other dinosaur party supplies for more ways to have a roar! 4 packages of 4 Pink Elephant Baby Shower Mini Honeycomb Table Decorations (Total of 16 honeycombs). Decorate your table in fishy fashion with our beautiful Mermaid Centerpiece. This 14-inch centerpiece decoration comes on a honeycomb stand and is shaped like a mermaid tail. It's guaranteed to look great at any mermaid birthday party. Position this mermaid tail decoration on any gift table, buffet table, or drink table to give your party some under-the-sea style. Get the rest of your celebration to go swimmingly - shop more of our affordable mermaid themed party supplies today. 4 Packages of 4 Blue Elephant Mini Honeycomb Baby Shower Decorations, for 16 total honeycombs. Create a kingdom for your little princess with our Magical Princess Gold Glitter Castle Centerpiece Decoration. 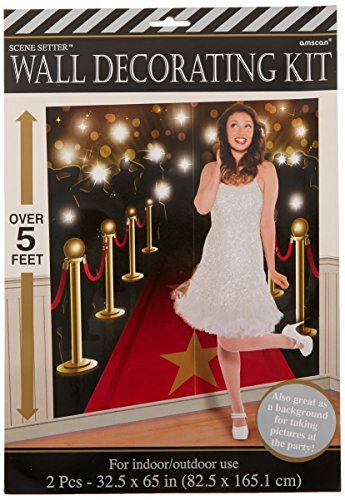 This table decoration measures 14 inches tall and has a shiny golden luster that's sure to attract attention at your daughter's princess birthday party. Simply use the cardstock stands to hold up this table centerpiece where everyone will see it. Make the birthday girl feel like royalty by shopping the rest of our fun and affordable princess party supplies. 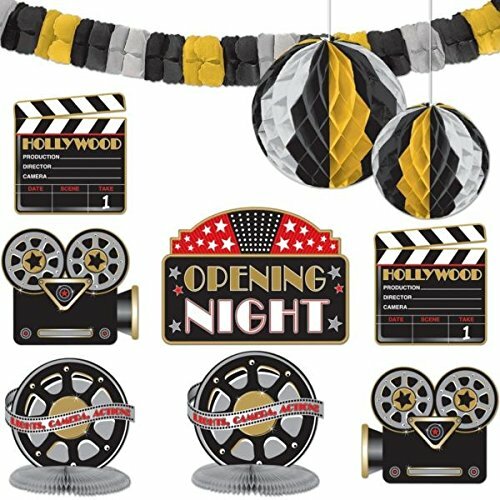 Easy to Assemble Kit for any party with a movie theme.